My first published article..... I was presented with a summer rum challenge last week that I just couldn’t cast aside. 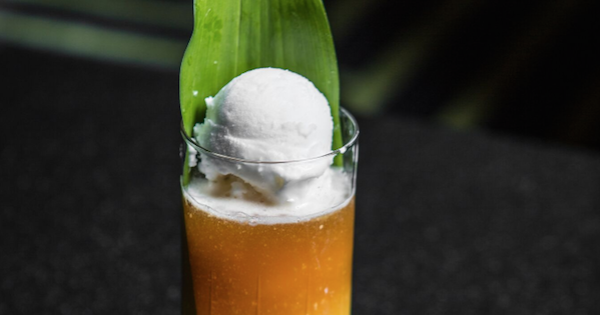 The test was to create a new twist on the ever so classic Piña Colada frozen cocktail. I can’t imagine that there is anyone unfamiliar with this iconic tropical island blender drink, but just in case here is a little refresher. The Piña Colada is a drink that was created in 1954 in San Juan, Puerto Rico at a Hilton resort. The traditional cocktail consists of fresh pineapple juice, cream of coconut, and rum. All the ingredients are collected in a blender with some ice and mixed until there is a beautifully smooth texture. This entry was posted in Press and tagged article, bars, bartender, best, Best cocktail bar, Best mixologist, Bob Peters, bob the bartender, bobthebartender, Charlotte, cocktail, Cocktails, DrinkWire, drinkwire-summer-rum, james beard, Liquor.com, mixologist, mixology, Muddy River Rum, outstanding bar program, Pina Colada, punch room, punch room ritz, the ritz charlotte, The Ritz-Carlton.